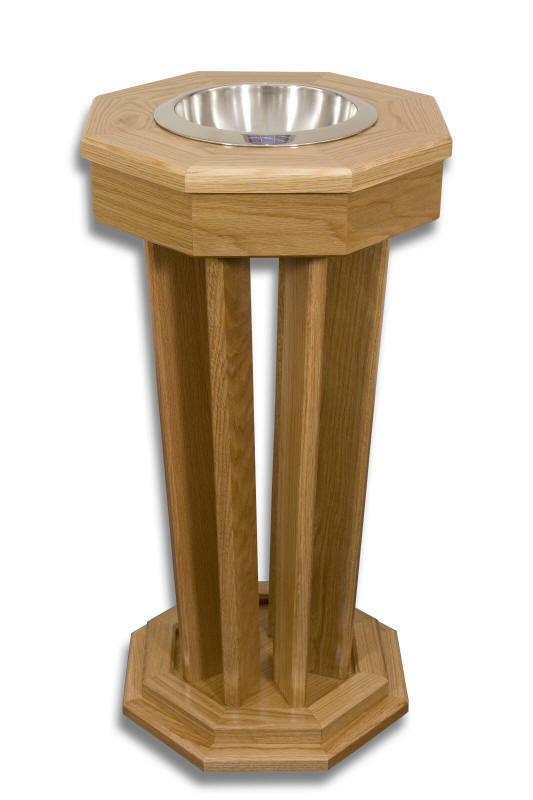 Our Minster font is produced in a style that is both contemporary and traditional. The font is finished in natural oak and is supplied complete a stainless steel bowl. The Minster can be created as a 'dual-purpose' item of furniture, enabling it to be used as a font and a flower stand (see photo).